In context: Despite Tesla's popularity, the company has been struggling as of late. It's instituted several cost-cutting measures over the past few months (including Supercharging price hikes) and CEO Elon Musk recently said the road ahead would be "very difficult" for the EV maker. Unfortunately, when it rains, it pours, and Tesla is about to learn that lesson the hard way. The company has been fined $29,365 in California for allegedly violating the state's Occupational Safety and Health (OSHA) rules with its Model 3 production "tent," which was set up in the parking lot of Tesla's Fremont factory. Two of the biggest concerns OSHA has with Tesla's Model 3 tent relate to two workplace hazards in particular: a 22-inch wide hole in the ground, as well as several metal rods that allegedly posed an "impalement" hazard. Of course, those two complaints alone probably wouldn't be enough to merit a $30,000 fine - OSHA found Tesla's safety standards lacking in numerous other areas, as well. 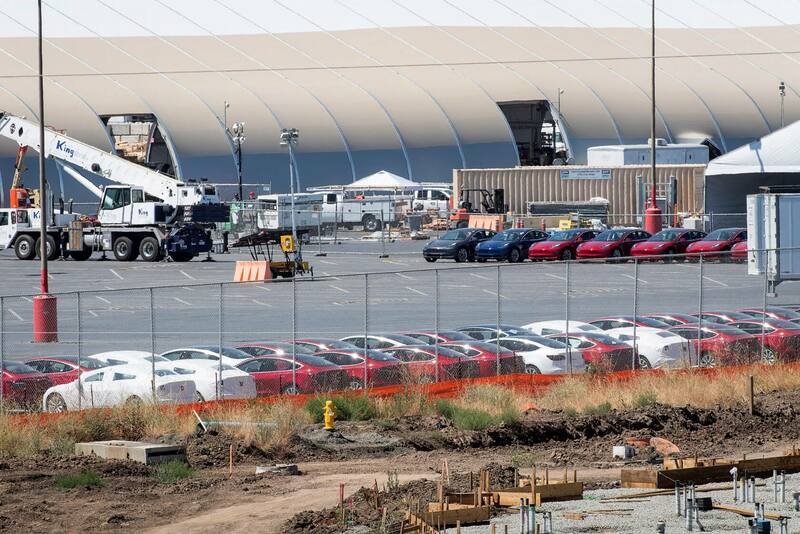 Tesla responded to OSHA's concerns by saying that the organization's last safety inspection occurred while the tent was still under construction, thus working conditions were significantly more chaotic than they are now. The company intends to fight OSHA's findings, and hopefully avoid the near-$30,000 fine. Of course, even if Tesla is forced to pay the penalty, it probably won't affect its bottom line too much. Though Tesla might be struggling, $30,000 is likely a mere drop in the bucket. As such, its resistance to OSHA's fine is likely a matter of principle, not penny-pinching.